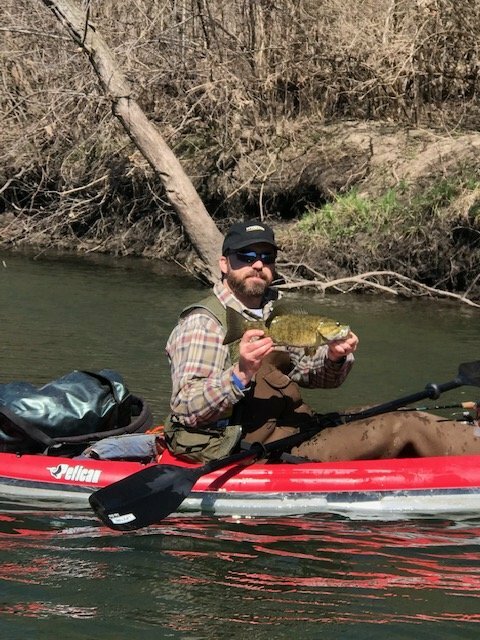 This Saturday the Northwest Region had it first fishing outing of the 2019 season. Conditions were far from perfect and that may have kept some away. It was me, Ken S and Eric G for breakfast at Cherry Valley. Eric had some morning plans but he was hoping to get out solo in the afternoon. So it ended up just being Ken S & I for the day. We ended up floating about a 5 mile section and then we hiked/waded another mile. The river conditions we pretty good from a water level and visibility standpoint. Our biggest challenges were the massive cold front that hit 3 days prior and the stiff wind that was in our face most of the day. The wind was so strong at times that it overpowered the current and blew us upstream. Some of the straight open areas had whitecaps on the river. Casting accuracy was inconsistent as a sudden gust could place your cast 6 feet off of target. Despite the challenges we faced, Ken and I caught a lot of smallmouth bass and they had a decent average size. Total numbers came out at 30 smallmouth and 1 largemouth bass. The best 2 fish were around 18" and only 1 was under 12". Most fell in the 14-16" range and were thick and healthy looking. The numbers sound good but to say we worked for our fish is an understatement. We worked hard for our fish over 8 hours of paddling, hiking and struggling with board control. I caught my first bass of the day on a jerkbait but every fish after that came on the ned rig. Ken also did best on the ned rig but caught some on a swimbait including his biggest. At the end of day I felt like I had a quality outdoor experience. We got plenty of exercise, fresh air, plus bird and wildlife sightings. There was one area towards the end where we saw 4 bald eagles. 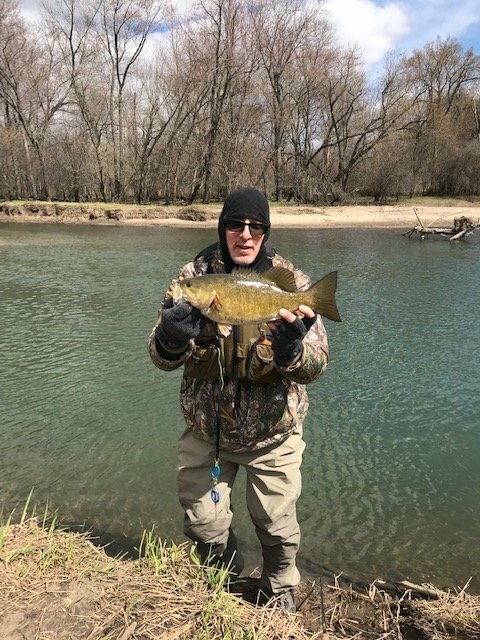 Here is a pic of Ken S with one of the better smallmouth of the day. He took most of the pics so perhaps Ken could add some later. 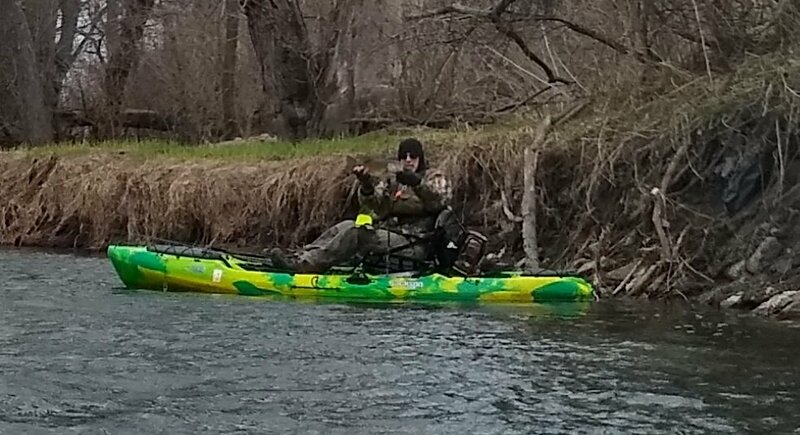 The wind was a challenge with kayak control. A gust of wind took my hat which I was able to rescue. Other than the wind, it was a good day on the water. 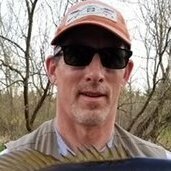 I tried a jerk bait with only getting a follow to the kayak and another fish that only bumped and swirled at the surface. All my catches were on a swim bait and a ned. Paul, thanks for showing me around. 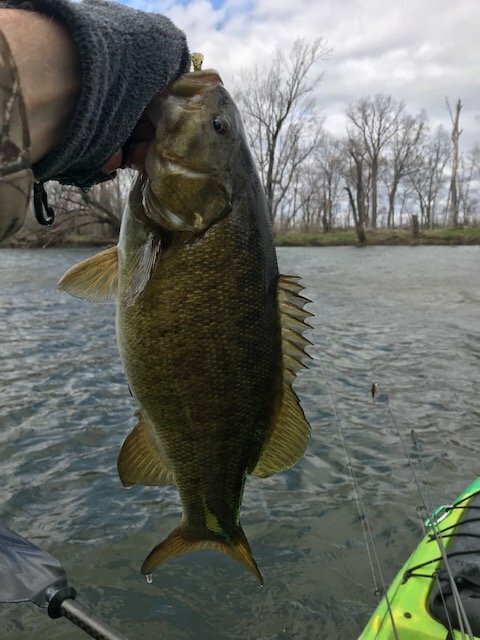 It was a good day to be out catching smallies. I did get out for a few hours in the afternoon. Only caught 3 smallies but some good size- a 17 and a 16. Wow long outing on a tough weather day! Sorry I didn't make it for the early outing I didnt free up in time but I did float the Kish one way from 3 to dusk that day on one of the branches in private water areas. 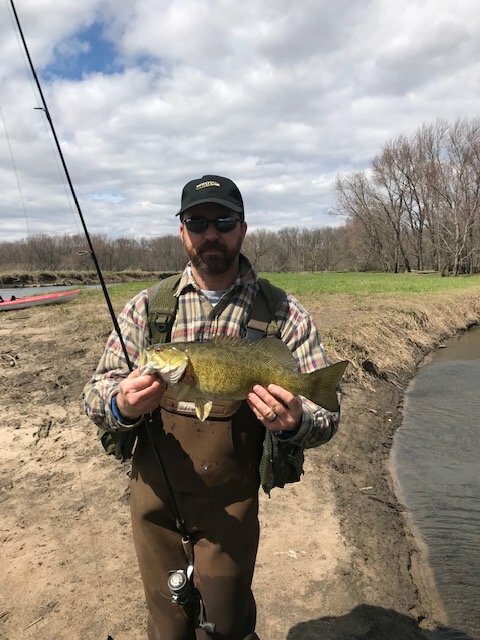 Very surprised have to say it was probably my best day smallie fishing in Illinois not from a total fish count but from an average size perspective I'm assuming breeders on the feedbag moving up river. Caught a lot of fish couldn't care to count but I don't think any were under 13". 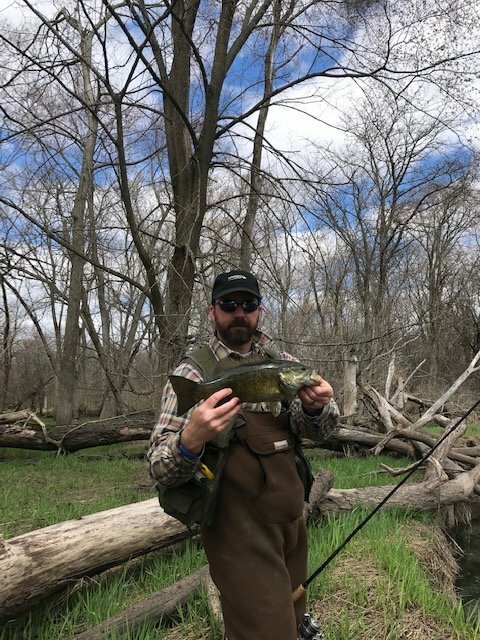 Any area i thought would come contain smallies yielded 2 or 3. Unusual to have such predictable fishing I don't think any fish passed up the opportunity and they made multiple efforts.